Why is it that so many of us toil away in jobs we hate, being treated like machines, doing things that will eventually ruin the planet? Is this really the best we can do with our work and our lives? Concluding a massive research project spanning the fields of behavioral economics, future trend analysis, and management science, Josh Allan Dykstra elegantly shows how the world of work is evolving — and that the competitive advantage of business is shifting towards something much more life-giving than where we’ve been. — Michael W. Morrison, Ph.D. If you’d like to receive email updates about when Josh’s next book will be released, please sign up below. 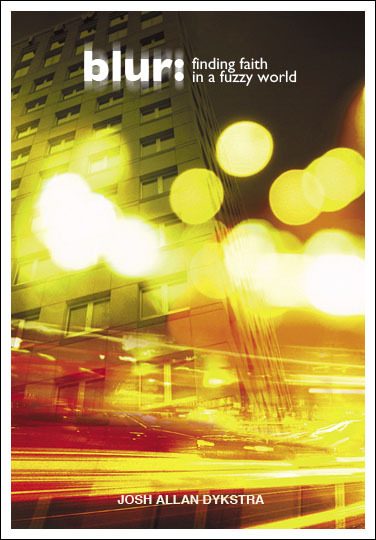 Josh’s first book, Blur, was released in 2007 as a limited edition eBook. It’s currently out of print (so to speak) and hiding in his digital vaults. 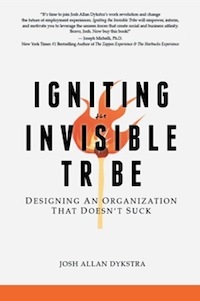 Josh has full intentions of doing a few edits and re-releasing it in paper and digital formats after Igniting the Invisible Tribe is published. Please bring out the new book! Stoked to read it. Loved the first one and still have it as a file on my computer. Would love to read blur. Let me know when it will be available again. Brilliant! Sigh. iLent what I own, now reap what I’ve sown. Thanks for all of the wonderful insights. Hope your sage is pressed into bits or paper soon. Can’t wait for your next book. Blur has been a great read, and your next topic is very intriguing. Also, I love the new title! Thanks Dom! Really appreciate that. We’ve just started pitching, so hopefully we’ll quickly find a publisher who can get excited about it too! I’m really eager to get it out there.